Over the last year, Philadelphia has been at the forefront of everyone’s minds, conversations and timelines. The city has made worldwide headlines, whether it be the Eagles, Villanova Wildcats, Kevin Hart, Black Thought, Meek Mill, Creed II or Kevin Negandhi, the buzz is at an all-time high. 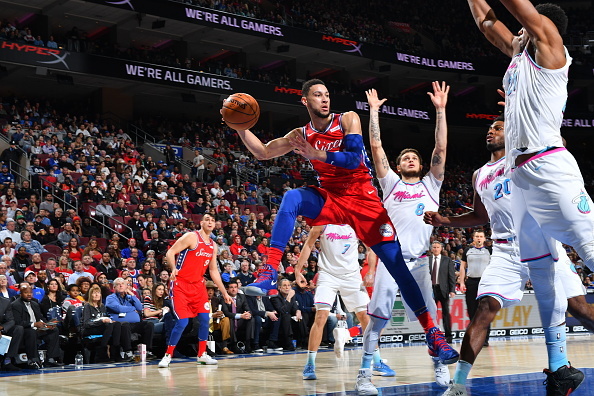 The Philadelphia 76ers are also part of that conversation as the franchise has set the bar and expectations even higher, finishing the regular season with 52-wins and a playoff run that has left everyone with a taste for much more. Joel Embiid has been the personification of The Process, emerging as an All-Star and one of the reasons for their recent success. The other is 6-10 point guard Ben Simmons. Simmons has been highly touted since his arrival into the States several years ago from Australia as a 15-year-old. He’s only continued his ascent since, becoming the No. 1 pick after a year at LSU and hitting the ground running after being sidelined his entire 2016-17 season with a foot injury. 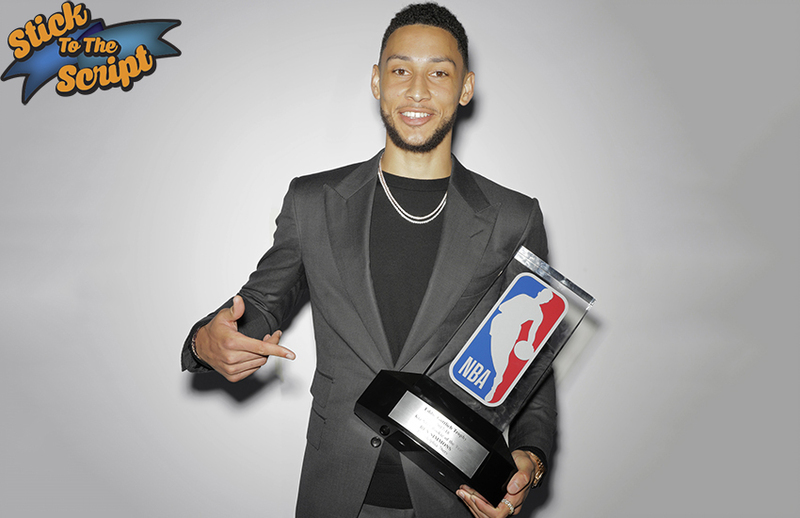 Simmons was worth the year’s wait as he led all rookies this season with 12 triple-doubles, along with 600 rebounds and over 600 assists, which were good enough to earn the Rookie of the Year honors. Ben Simmons has studied, learned, matured, won, and lost. He is the culmination of desire, hard work, and a dedication to his craft. 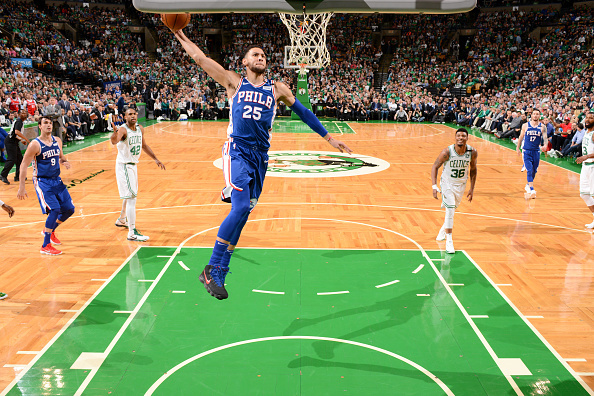 Throughout the season I have been asking Simmons questions here and there. I will say this much, he’s not a big fan the media, however if you ask the right question, he will take his time and answer it with something insightful. 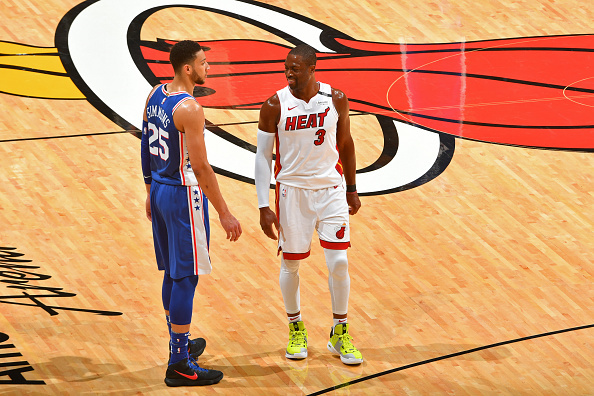 Jon Johnson, who covers the 76ers for a local AM station KYW NEWS Radio 1060, pulled me aside one day and he gave me some advice on approaching Ben Simmons and getting my questions answered. He informed me that it is easier to catch him as he walks back to the locker room, once he finishes his pregame warm up. I incorporated this in my approach and I must say, he was much more receptive in the one-on-one interviews than the media scrum around his locker. He and I talked about his favorite player growing up, the NCAA, his shoe collection and much more. What was your mindset going into your first season? I came to the States since I was 15 and nobody knew who I was, so I feel like I’m kinda back at that stage and I gotta prove myself again, which is fine, and I’m looking forward to that part. Do you remember the first NBA game you ever attended? Umm, it was actually a [Golden State] Warriors game, and I took a photo with Jeremy Lin—Jeremy Lin, Steph Curry, and Monta Ellis. I would have been 14 years old. So you just so happened to be in the States? Do you still keep in touch with LSU? Yeah…they’ve been supporting me, so I got love, a lot of love for them and the school. I think, you know, the NCAA is a little messed up, but LSU—I love LSU, I definitely want to go back. What is it like to have all eyes on you? I feel like I’ve always had eyes on me from high school—as soon as I came over here, since I’ve been playing, so I’m kind of used to it. It’s a big responsibility, my mom always tells me. 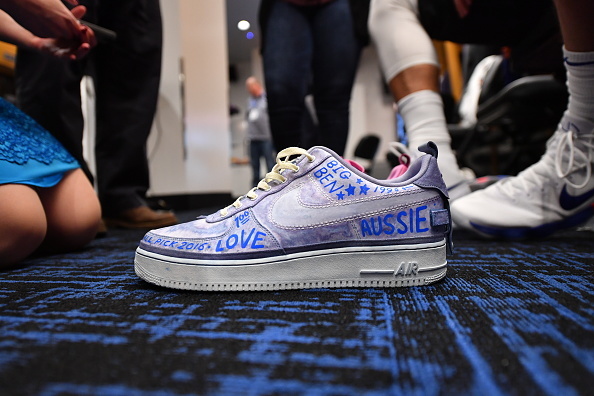 I see you stay with the fresh sneakers off the court. Got to man! I’m into shoes. Shoes and cars. Yeah. I got a lot of shoes. I think, I got like 50 pairs that aren’t open. I got too many. I have doubles of a lot of shoes, too. What’s your deciding factor on your way to the game? Whatever looks good really. It just gotta match. What teams did you watch growing up? Just different teams, whoever it was—Lakers, Heat. I mean I was a big Dwyane Wade fan. I used to collect all his shoes for Converse, so he was one of my favorite players growing up. Was there a moment that you could pinpoint and look towards as a definitive time when you knew you could play in this league? My whole life. I’ve always known. I never doubted myself. As soon as I knew what the NBA was, I knew what I was going to do. I’m serious, I knew—I knew—I was going to play.